War-gamers who valued accuracy scoffed at the fanciful orcs and mages of Dungeons & Dragons. Gary Gygax may not be a household name, but in 1974 he released Dungeons & Dragons, a game to conjure with. It launched the new genre of fantasy role-playing games, which has become an inescapable feature of contemporary culture. A joint creation of Gygax and his fellow war-game enthusiast Dave Arneson, “D&D” discarded game boards and rigid rules directing players to a preordained conclusion. Instead, each player created a unique character with special skills, such as a mage, thief, cleric or fighter. They jointly explored an imaginary world of treasures, monsters and obstacles verbally evoked for them by a referee, the “dungeon master.” D&D was thus a form of communal storytelling as well as problem solving. Indeed, the game was marvelously open-ended and improvisational, freeing the imagination while fostering camaraderie. It was immersive, even addictive: Characters developed through their tribulations, becoming stronger, wiser and richer, priming the player for further campaigns. D&D influenced the computer gaming industry, which in turn has made fantasy role-playing more accessible and acceptable. Michael Witwer’s admiring account credits this wider cultural shift to his subject: “Simply put, [Gygax’s] seminal game made these later multibillion dollar pop-culture phenomena possible.” But this gives Gygax (1938-2008), who may have been unjustly neglected in the past, too much credit. As Erving Goffman and other scholars have shown, role-playing defines modern life. Science-fiction fans dressed in the costumes of their favorite characters in the 1930s, the same decade that witnessed the creation of Sherlock Holmes societies in England and the U.S. The Internet has compounded this “games people play” effect—our online identities, whether pseudonymous (as in fake email identities) or artfully manicured (as on Facebook), are our avatars. While it is said that we live in a science-fiction world, given the tremendous impact of science and technology on our lives, we also live in a fantasy world. Mr. Witwer relegates D&D’s influence to the book’s concluding chapters and focuses on the specifics of Gygax’s life. While he traveled through time and space in his imagination, Gygax spent most of his corporeal existence in the down-to-earth Midwest. He was born in 1938 to a middle-class family in Chicago and as a child developed a lifelong passion for games and fantasy fiction. As a married adult in Wisconsin in the 1960s, he relied on his job as an insurance underwriter to effectively underwrite his obsession with playing games of all types, from chess to “Gettysburg” (a Civil War battle simulation). He was absent from home so often that his wife feared he was having an affair. The situation was worse: Gaming proved to be his true love. Gygax excelled as an enthusiastic innovator, organizer and salesman within the tiny world of war-game hobbyists. He presided over clubs, convened conventions and proselytized in fanzines. In 1971 he introduced a “fantasy supplement” to the rules of his medieval game “Chainmail.” At the time, many war gamers mocked this fanciful innovation—they favored strict accuracy in their simulations of historical conflicts. But some, including Arneson, were thrilled by the possibility of fighting in wholly imaginary worlds such as those described by J.R.R. Tolkien, Robert E. Howard and Edgar Rice Burroughs, whose works had been republished in paperback in the 1960s. Gygax had tapped into the zeitgeist, and Arneson joined him to create the new genre of role-playing games. 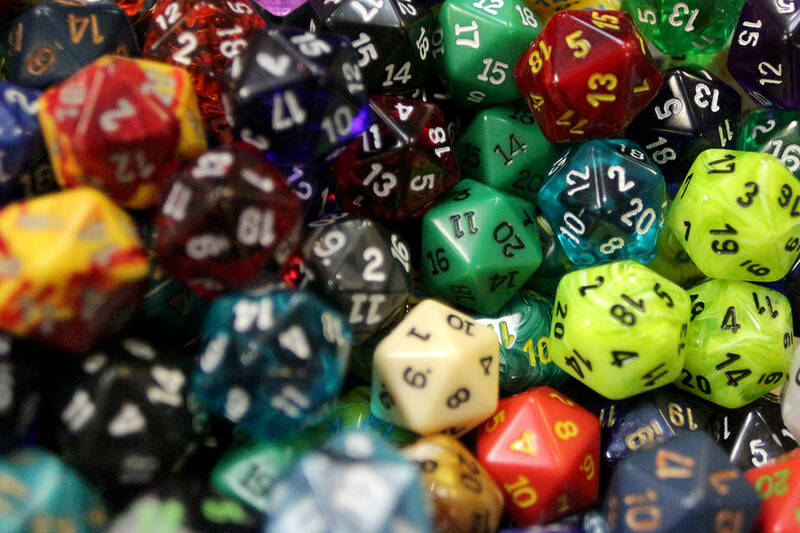 By the mid-1980s, D&D was being sold in 22 countries and had reached $30 million in sales. But success proved costly: A frequently impetuous Gygax broke with Arneson and later was dismissed from his own company. Mr. Witwer has interviewed members of Gygax’s family and some of his associates, revealing details about Gygax’s painful divorce and cocaine use, his political shift from conservative Republican to libertarian, his break with the Jehovah’s Witnesses and later announcement that he has “found Jesus Christ.” These and other episodes will intrigue some D&D aficionados, but few are probed deeply for what they suggest about his life and work. Given that D&D had been the target of sensational attacks during the 1980s for promoting Satanism—and even suicide—among its players, one wonders how Gygax’s faith and politics intertwined with these controversies. Whether Gygax would relish being given lines like, “What would Conan do?” and “Damn it! Foiled again!” remains an open question, and not the most important one. It is often difficult to extricate the real from the fictional here, undermining the book’s credibility as nonfiction. For example, we are treated to a vivid moment when Gygax decides he will resign from his company, types the letter and is about to post it when by chance he is interrupted by a colleague and reconsiders his actions. A footnote reveals that this scene is a fabrication: In reality, Gygax may have considered resigning but did nothing about it. That truth tells us more about Gygax’s ambivalent state of mind than Mr. Witwer’s fantasy, even if it lacks the requisite oomph. Critics of D&D in the 1980s feared that impressionable players would be unable to distinguish between imagination and reality. This concern was largely unfounded, however. Our practice of consciously “inhabiting” imaginary worlds has actually sharpened our ability to tell the difference between the real and the artificial. While it is always possible to be misled, we are perfectly capable of living in both worlds simultaneously without confusing them. “Empire of Imagination” is emblematic of a much more concerning muddling of reality and fantasy in our contemporary world. The distinction between reality and fantasy is eroded not because they can’t be told apart but because there’s a pervasive pressure in our current culture to recast reality as fantasy in order to make it more entertaining. Mr. Witwer does this in his book; we do it on our Facebook pages. This trend has long been apparent in the media, politics and education, and it may also affect new developments like “augmented reality” (where our perception of real life is supplemented by computer-generated enhancements) and “gamification” (where real life is treated as a game, with rewards given for set accomplishments).